We LOVE making our own pizzas. This is a fast and healthy way to incorporate whatever you have in the fridge! Our favorite dough is from Trader Joes! 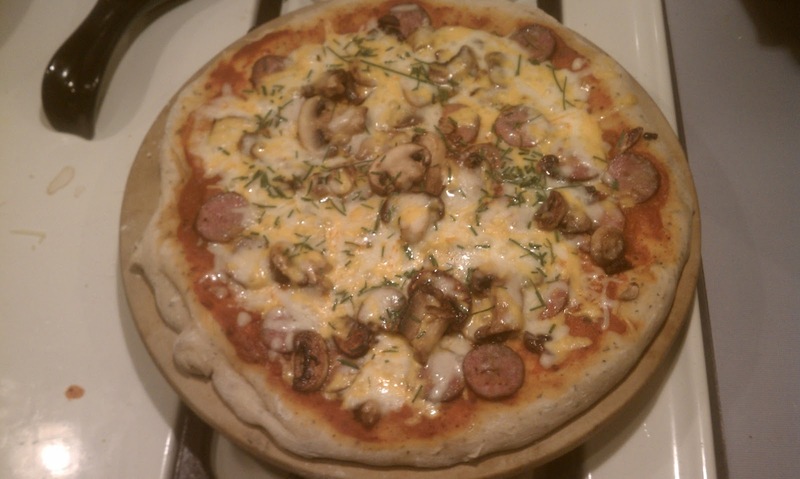 Here is our spin on pizza! Trader Joe's dough, cheese, mushrooms, chives from the garden, mushrooms and sauce. Viola!